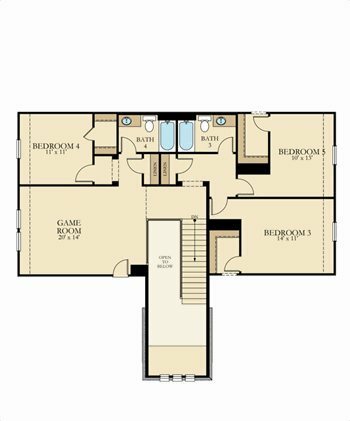 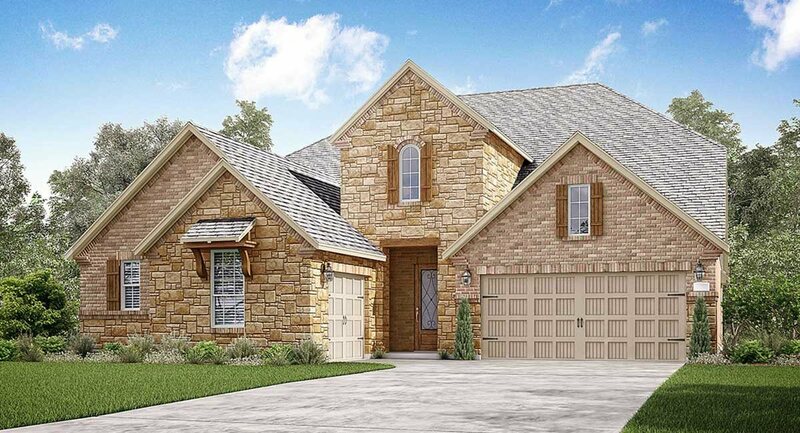 The innovative two-story Acadia plan by Lennar features a unique dual living arrangement.. A Home within a Homer, the private suite offers a separate and private front entry, living room, bedroom, full bath, handy kitchenette, and a garage bay. 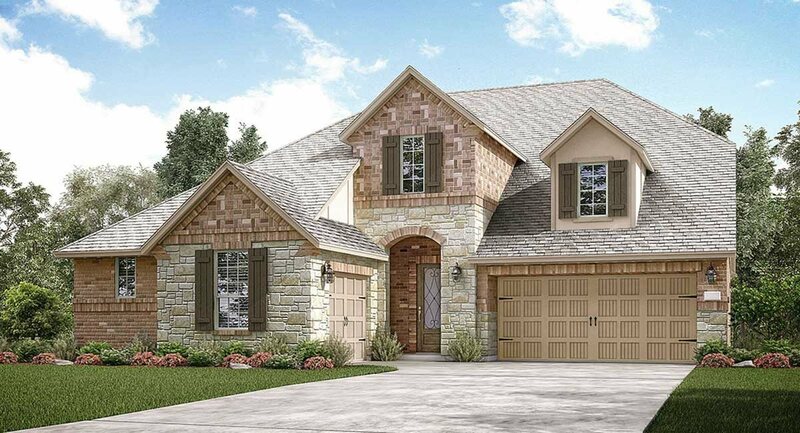 The main home features an inviting front porch and foyer entry, an island kitchen with walk-in pantry, formal dining room, walk-in utility room, a generous family room with corner fireplace, and relaxing covered rear patio. 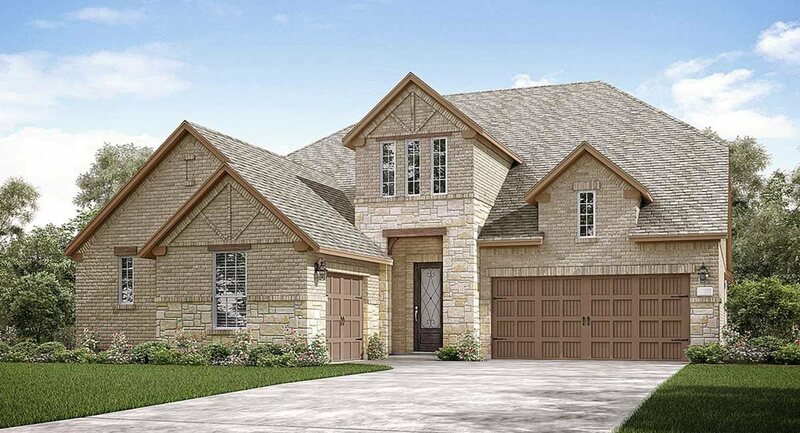 The master bedroom features access to an additional private covered patio, and an en suite bathroom with dual sinks, separate shower and corner tub, private toilet enclosure, and a large master walk-in closet. 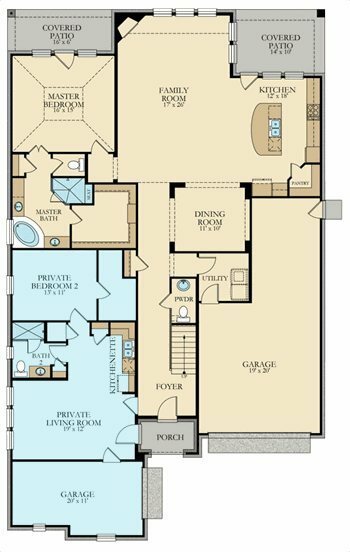 The Acadia floor plan also features the option to add an extended rear patio.